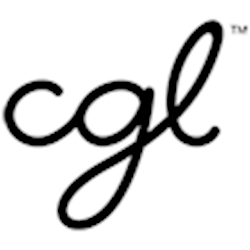 CGL Scotland provide a range of services across Edinburgh and Lothians, these include SE, SW and NW Community Recovery Services, Edinburgh and Midlothian Offender Recovery Service, West Lothian Assertive Outreach Service and Midlothian Fresh Start. Reporting to the Services Manager, you will support the strategic and operational leadership for the service, working with senior members of a range of key stakeholders and partner organisations. You will have experience of managing contracts, understanding of social care and criminal justice systems, including in depth knowledge of prison and community systems and practices within Scotland. Experience of effective partnership working at a senior level, including superior negotiation skills and relationship building to forge collaborative relationships. Experience of strategic planning, project development, innovation and implementation. Experience of leadership including staff supervision, appraisal and development, data collection systems, report writing and IT systems and the ability to identify service gaps and areas of development and adopt a solution focused and open-minded approach. If you feel that you are able to create a value-based outcome-focused culture and provide a constant stimulus for improving services in a learning environment that aligns itself to the varied quality frameworks for the establishments within the portfolio then we would like to hear from you. If you have any additional questions, please email: Beverley.hubber@cgl.org.uk or call the office on 0131 557 5273.